A Mother’s Day Gift for All Flowingly Fertile Red Satin Mamas! You know we really did conceive our inconceivable baby on red sheets. True, they were red flannel sheets. Not sure why I didn’t go for satin. But it worked! 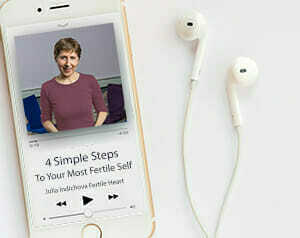 As every year, the emails with subject lines, ”Coping with Mother’s Day,” Infertility and Mother’s Day: Tips for Dealing with Mother’s Day Blues.” are pouring in from all directions. So as each year, this is my short and sweet Mother’s Day card for all of you awesome Flowingly Fertile Red Satin Mamas chosen for this magnificent assignment, called Infertility. I know, it doesn’t always feel like such a magnificent assignment, but if you care to stop and drop all the way down to the floor of your fertile soul, you’ll hear a quiet little voice letting you know that that exactly what it is! Whether your children have already materialized in physical form or they’re still cruising in the over world, the umbilical cord of longing is already attached to your heart and that qualifies you for the Mommy Clan. As for tips, Mother’s Day is a great day to practice being a mom. To yourself. How would you take care of your adored daughter if she was travelling the scenic road to motherhood? If a tearstained little Orphans were to raise her arms toward you asking to be picked up, I bet you’d know exactly what to do! I bet the Ultimate Mama in your very own fertile heart knows just what to give you to sweeten the day! And of course you have a toolbox full of I.B.O.W. tools to reach for if you get stuck. Here is a Mother’s Day gift from me to all of you, a remedy, if you need one, to open the heart and access the tenderness of the Ultimate Mom. I adapted it from page 175 of The Fertile Female. Intention: To separate the essential from the illusory, the wishes of the Orphan from the wishes of the Visionary Mama within you. Close your eyes, observe your breath for a few seconds, then breathe out three times with a long, slow exhalation. Let the breath move through you. With the next inhalation, breathe in the image of your child and the note and the sweetness of being a mom. Know, sense, and feel that you absolutely, without the slightest doubt, have all the provisions for the journey that can bring the experience evoked by this image into your physical eality. Know, sense, and feel that what you’re yearning for will come through your deepening relationship with yourself, your loved ones, the world around you and the relationship with the child. The relationship that has begun when you first realized that you wished to be a Mom. Would love to hear about some of the supremely self-indulgent, unreasonably extravagant gifts you’re giving yourself this Sunday! A resplendent Mother’s Day to all!